Red Pocket has always had an extremely complicated plan lineup that featured around 17 plans scattered across five categories. There were pay-as-you-go options and unlimited options and everything in between. However, it looks like the company has finally decided to simplify things a bit. Today, we’ll look at Red Pocket, and MetroPCS. Red Pocket has been around for a while and offers plans from all four carriers. MetroPCS, by contrast, is owned by T-Mobile and only offers that service; however it is usually one of the best values in T-Mobile prepaid. Red Pocket is one of the few MVNOs which offers plans from all four carriers, allowing its customers to have the most variety while still sticking with a company they are familiar with. While the company has always been a little uncompetitive when it comes to the higher-priced plans, I have to say that the most recent $10/month plan is actually pretty sweet. Red Pocket, one of the few MVNOs that offers plans from all four of the main carriers, has launched a new promotion geared towards people looking to make international calls. For a limited time, users can get unlimited international calling to 72 countries with Red Pocket’s Flagship Plans. Red Pocket Mobile, an MVNO that operates on all four of the main carrier networks, recently unveiled a new yearly plan. These annual plans are only available on Red Pocket’s eBay store, and they operate on AT&T’s (GSMA with Red Pocket) or Sprint’s (CDMAS) network. Red Pocket Mobile, an MVNO that operates on all four of the main carrier networks, made a change to its data allotments. The company offers four “flagship” plans that can operate on any of the four networks, as well as four different sets of specific plans by network. The change made is within the plans on T-Mobile’s network (GSMT). It’s not super uncommon for MVNOs to feature specific deals aimed at certain types of customers. I’m not sure how long this has been going on, but it looks like Red Pocket has launched some Verizon powered plans which can only be purchased through Ebay. 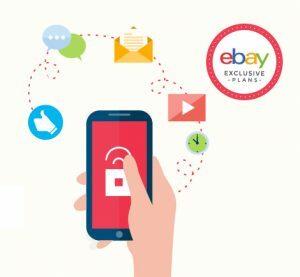 These exclusive Ebay deals not only offer LTE through Verizon, but also seem to support Verizon phone activation. Red Pocket has been around for several years and was, aside from Proven Wireless, the only non-Tracfone MVNO which offered service through all four of the main carriers. However, it appears that Red Pocket and T-Mobile have had a bit of a falling out recently and all T-Mobile plans and services have been pulled rather abruptly from Red Pocket’s website. In honor of Valentine’s day, Red Pocket Mobile is currently running a promotion that could give new customers a $25 gift card from restaurant.com to spend on food for the most romantic day of the year. This promotion is available all of February and is only applicable to new customers who sign up for Red Pocket’s T-Mobile-powered network. Red Pocket Mobile has continued their trend of awesome freebies for their GSMT, or T-mobile network, customers in 2015 with this pretty nice free service deal. I’m not really sure when this promotion launched or when it will end (although a logical guess would be the end of the month) but if you are happy with your GSMT plan, then it is definitely worth the time. Red Pocket Mobile announced last week that customers utilizing the $69.99 GSMA plan can tweak settings in order to access AT&T’s LTE network speeds. I probably don’t have to say it, but you need to have an LTE capable phone in order to actually use LTE. Prior to this most recent announcement, the only network that offered LTE through Red Pocket was T-Mobile, on GSMT-specific plans. I don’t know how I missed it, but Red Pocket Mobile has several deals going on their website aimed at customers who use their GSMT network, or the T-Mobile powered network. In fact, when you visit the site, you’ll probably notice a flurry of pink advertisements, like the one above, scattered around their website promoting the new deals. Red Pocket has announced that they can now support the new iPhone 6 and iPhone 6 Plus on their GSM networks. Unfortunately, the CDMA networks are not supported, and customer service said they didn’t have any information about when it will be supported. However, if you really want a CDMA network, Boost Mobile does support the iPhone 6 and 6 Plus and the phone can be activated through them. Red Pocket Mobile has made a few changes recently, the most exciting of which is the addition of an LTE plan to their GSMA lineup. The GSMA plans are powered by AT&T, but Red Pocket also offers plans from Verizon, Sprint and T-Mobile. Red Pocket Mobile, the all-carrier MVNO has teamed up with the mobile cash transfer start-up PreCash to offer a new bill pay service to all Red Pocket customers. The new app is called Evolve Money and will come pre-loaded on select Red Pocket phones. It can also be downloaded for free for iOS and Android phones. 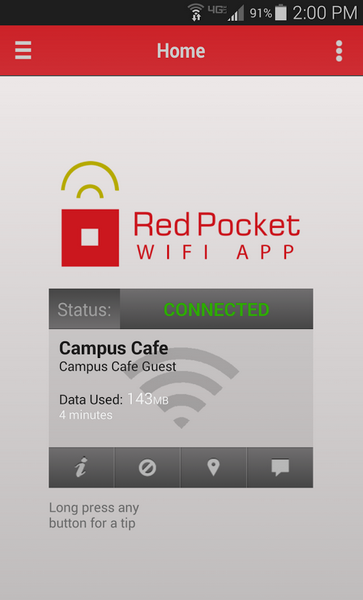 Last week Red Pocket debuted their Red Pocket WiFi App that is designed to help customers manage their WiFi networks and to store/automate log ins for ‘reputable’ WiFi hotspots at places like McDonalds and Starbucks. Red Pocket has changed around their Flagship Plans this week and they now have plans using all four big carriers, although they don’t actually use their names. It isn’t hard to figure out which is which though, with a bright magenta T, calm blue A, fiery red V and a cheerful yellow S at the top of each…but at least it will be easy to know who your service is with and which devices to use. 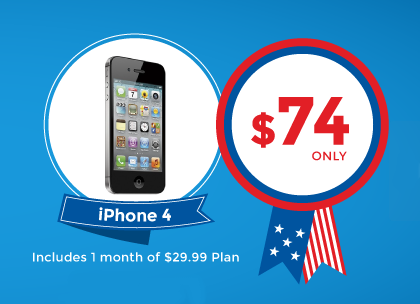 $59.99/30 days – unlimited talk, text, 3 GB ‘high speed’ before throttling. *It should be noted that the $29.99 is not available on GSMT and the $39.99 is not available on CDMAS, but both are coming soon. For anyone who is looking to cut out the expensive bloat from their current mobile wireless plan, it is rather difficult to do so by sticking with their current wireless provider. That is exactly why it is so important to look for an outside service provider who can help. Red Pocket Mobile is one of the best contract-free pre-paid cell phone services out there. Red Pocket Mobile offers you two different ways to refill your account. The first option is with an unlimited account.